Smooth out your expression lines! Make those crow’s feet, expression lines and wrinkle disappear. Ideal for any rendez-vous! 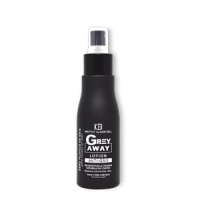 Grey Away Hair Spray. 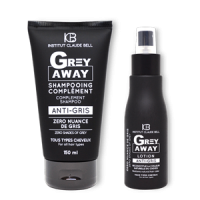 This is the Claude Bell Institute’s radical solution against grey hair. A satisfaction rate of almost 100%. 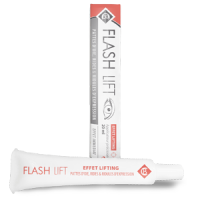 Face lift effect.Assistance to fight against the small wrinkles and deep wrinkles. Hydrate your face. 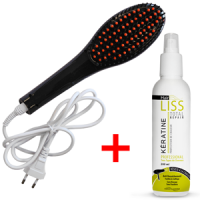 For quick smoothing, easy and perfect ! Professional Smoothing on all hair types even the most FRAGILE with the spray protective keratin heat and hot brush. For quick smoothing , easy and perfect ! 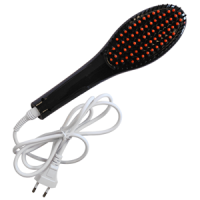 Professional Smoothing on all hair types even the most difficult hair straightener through serum included. 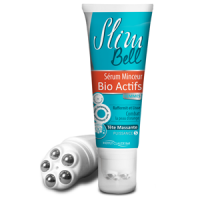 Anti-ageing concentrate FIRMNESS OF THE BODY ANTI LOOSENING REGENERATING CARE to refine and reorganise the silhouette. The ARGAN OIL ANTI- VERGETURE care REDUCED APPEARANCE OF STRECH MARKS. Shampoo - To boost of brightness ! Nourishes and revitalizes your hair. Conditioner - To boost of brightness ! Mask - To boost of brightness ! Shampoo and conditioner - To boost of brightness ! Shampoo, Conditioner & Mask - To boost of brightness ! Face Care - Corrector day & night of sun spots, winkles & redness. For quick smoothing , easy and perfect ! Professional on all types of hair smoothing. 3D ceramic pins and adjustable temperature. 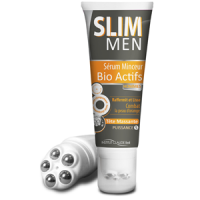 SLIM MEN MASSAGE your summer slimming aid: up to 4 cm off your waistline within 6 weeks! The Epil Xpress post-hair removal soothing lotion : Now there’s a solution for the problem of skin irritation after hair removal.